Sitting just off of the famous River Thames, Deptford is a popular area in south-east London with a rich history and thriving arts culture. 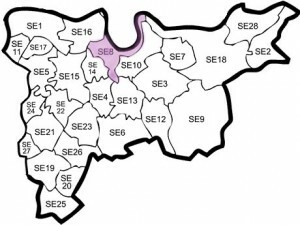 Our man and a van in Deptford know all about the area of Deptford and nearby Lewisham and are able to accommodate any move in or out of the SE8 region. Railway buffs will be thrilled to explore Deptford Railway Station, one of the most long-established suburban stations in existence. Combine this with the array of local churches and beautiful architecture and it is no surprise to discover that many people are currently moving to Deptford with the help of Happy 2 Move’s man and a van in Deptford team. Rather than a simple driving service, at Happy 2 Move we endeavour to help at every step along the way; loading and unloading are standard with all of our moves, and our van comes with all necessary equipment to secure your belongings at no additional cost.